By Dennis Brager, Esq. and Brandon Valvo, Esq. If you have bank accounts located outside of the United States, the Bank Secrecy Act may require that you report those account balances to the Internal Revenue Service (IRS) by filing form TD F 90-22.1, also known as the Report of Foreign Banks and Financial Accounts (FBAR). Failure to properly file an FBAR and declare the account balance could lead to civil penalties costing hundreds of thousands of dollars and even result in criminal charges. In April 2003, the IRS was given civil enforcement responsibility over FBARs, but the requirement to file an FBAR goes back many years. The government requires the FBAR because many foreign financial institutions have different and more lenient reporting requirements than those of the United States, and investors could use foreign accounts to evade taxes, and engage in money laundering. As a result, the IRS requires that the FBAR be filed each year by anyone who has a financial account outside the United States. Failure to comply can lead to draconian penalties. A person is required to file an FBAR if he or she is a United States person with a financial interest, or signatory authority over at least one foreign financial account and if, at any point during the calendar year, the total value of all foreign accounts exceeded $10,000. The IRS defines a United States person as an individual who is a United States citizen, a United States resident (including a green card holder not physically present in the United States), and various entities created or organized in the United States. Recently, the IRS implemented an “amnesty” program for non-resident, non-filer U.S. taxpayers who unknowingly failed to file the FBAR, but became aware of this and wished to comply with the requirement. Non-residents, including dual citizens, who have not filed U.S. tax returns, may be eligible to participate in this new program. The new "Streamlined" Filing Compliance Procedures became effective September 1, 2012. Those who qualify under the new procedures will only have to file back tax returns, and FBARs for three years, instead of the usual eight years under the Offshore Disclosure Program (OVDP), which is an older IRS program. 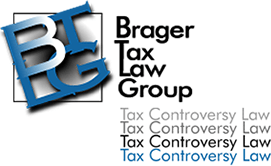 Plus, the IRS will not impose FBAR or other penalties. Participants need to fill out a questionnaire, which includes such questions as “Did you know you had a Report of Foreign Bank and Financial Accounts (FBAR) filing requirement when you failed to file an FBAR?” and “If you used a tax professional, did you disclose the existence of the accounts/entities you hold outside your country of residence to your tax professional?" In order to qualify for the Streamlined Filling Program, taxpayers must have lived outside of the United States since January 1, 2009, cannot have filed a U.S. tax return during the same period and must present a "low level compliance risk." FBAR, even if the foreign account does not generate taxable income. The FBAR is not filed with an individual’s federal income tax return, rather it is a separate filing that must be completed and submitted by June 30th, following the calendar year of reporting. As of July 1, 2013, electronic filing for FBAR forms is mandatory. If you have unreported accounts in foreign countries, talk to a lawyer immediately and find out whether or not you are required to file the FBAR. If the IRS discovers the account first, the penalties can be severe. To read the entire article published in Japanese click here (pdf).